Over the years, your home will undergo quite a bit of wear and tear. Thus, when it comes time to sell, it’s wise to take an objective look around and carefully assess what you can do to ensure your property is presented to buyers in its best light. Even making simple updates will improve your chances of securing a faster and more profitable sale. Here are a few home improvement and handyman projects to consider investing in before listing on the market. Many buyers focus their attention on the kitchen when touring a home for sale. If yours is outdated, it can be an instant turnoff. Fortunately, there are several ways to remodel a kitchen without doing a complete makeover. Adding new storage solutions, resurfacing the cabinets, replacing the countertops, and installing better lighting are all projects that will go a long way in attracting buyers and increasing your property value. Freshly painted walls can make all the difference in how a room looks and feels. The key is to stick to a neutral palette, such as white, beige, and gray, which will appeal to the majority of buyers. A new coat of paint should be applied to walls that already fall into this color scheme or ones that currently display unconventional shades. If your drywall is visibly damaged in any way, it’s best if a handyman repairs it prior to welcoming buyers in for a viewing. You’re more likely to get a full asking price if holes, cracks, and indentations have already been fixed, and you will save yourself the hassle of negotiating repair costs at a later point in the transaction. Decks are a desirable selling point for a home. However, it’s a good idea to have a handyman address any signs of deterioration before you list. Having your deck power washed and restained can make your outside living space even more aesthetically pleasing and help prospective buyers imagine themselves entertaining guests and relaxing in the sun. 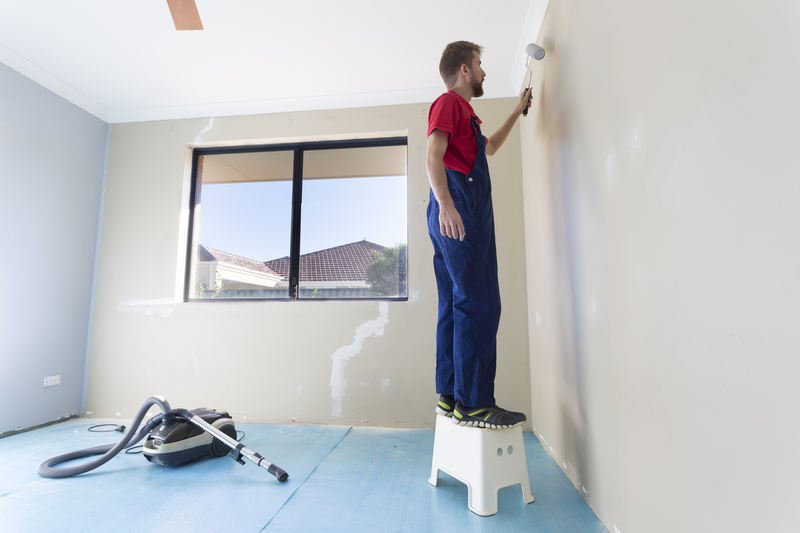 The right improvement projects can breathe new life into your home and make an unforgettable impression on potential buyers. If you need a team of skilled professionals to help get your property ready to sell, contact LaPlace and Eagan. Having been passed down through three generations, the family-owned company is proud to be recognized as a reliable name in the Middlesex County, CT, community. For more than a century, they have provided clients with high-quality workmanship and are equipped to provide a wide variety of contractor and handyman services. Call (860) 526-5429 to request a free job estimate or visit their website to learn more about the types of projects they specialize in.